For easier cutting, keep burrata in the refrigerator until the last minute and use a sharp knife. 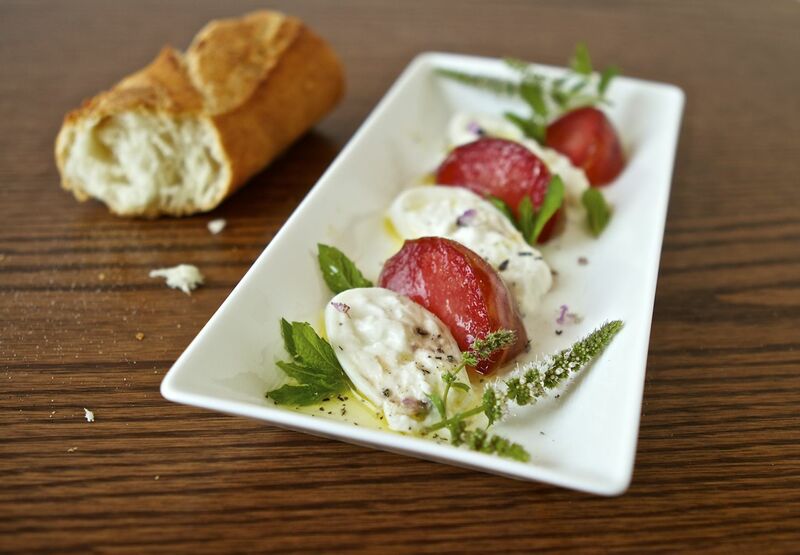 Slice the pluots into thick slices and layer on a serving dish with the burrata. Sprinkle the fresh mint and salt and pepper over the cheese and fruit. Drizzle with oil and vinegar and serve with good bread.